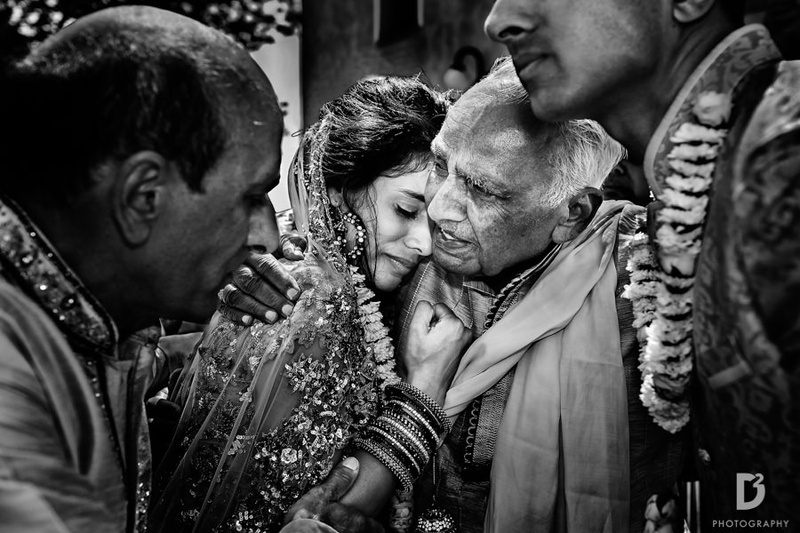 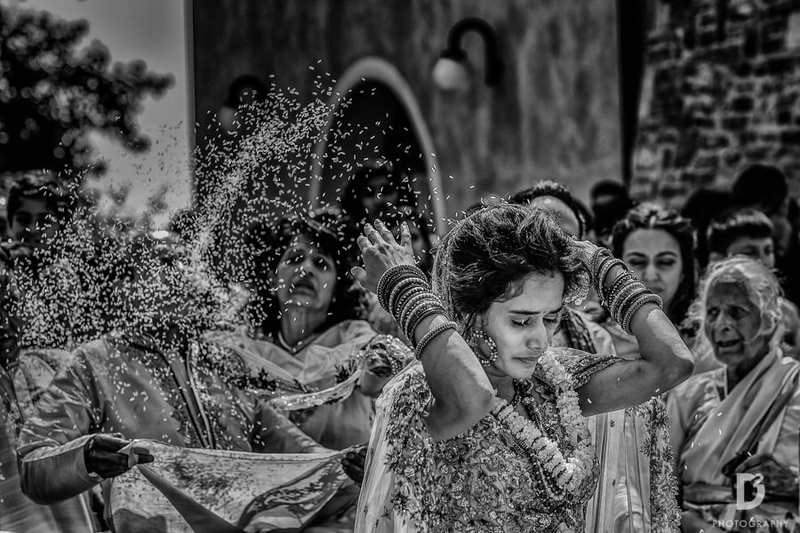 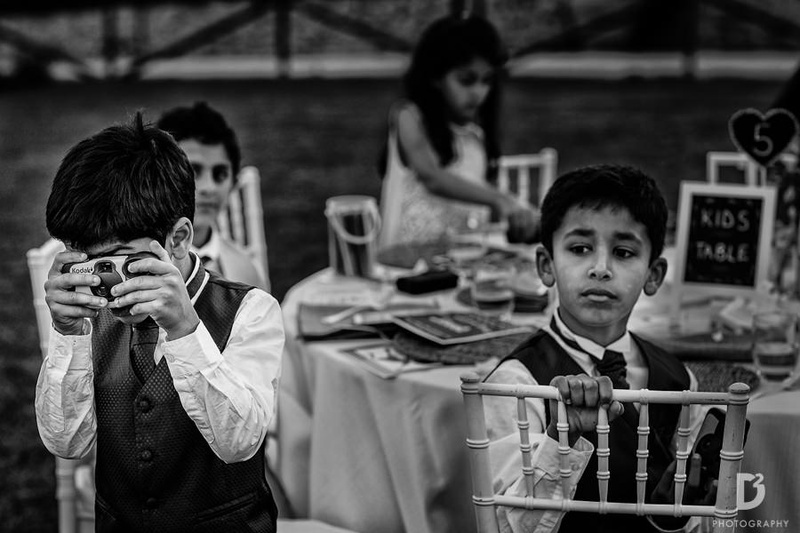 Hindu Wedding In Siena, Italy With An Abundance Of Emotions And Scenic Beauty! 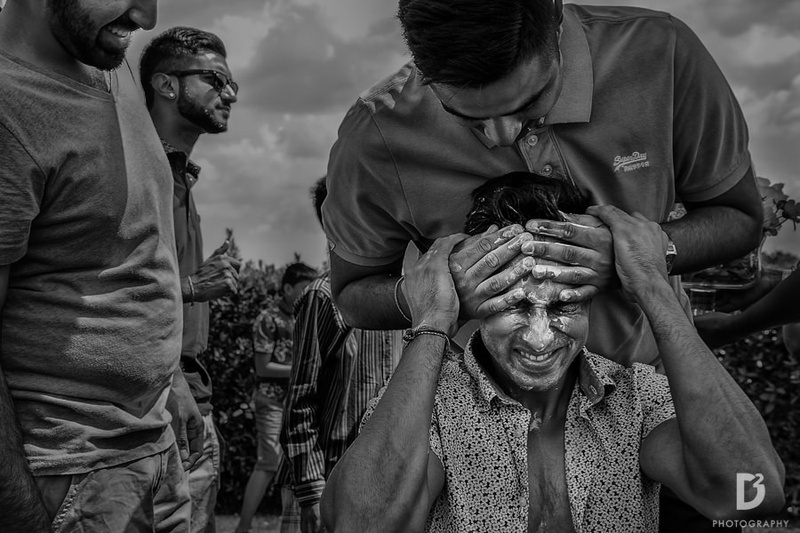 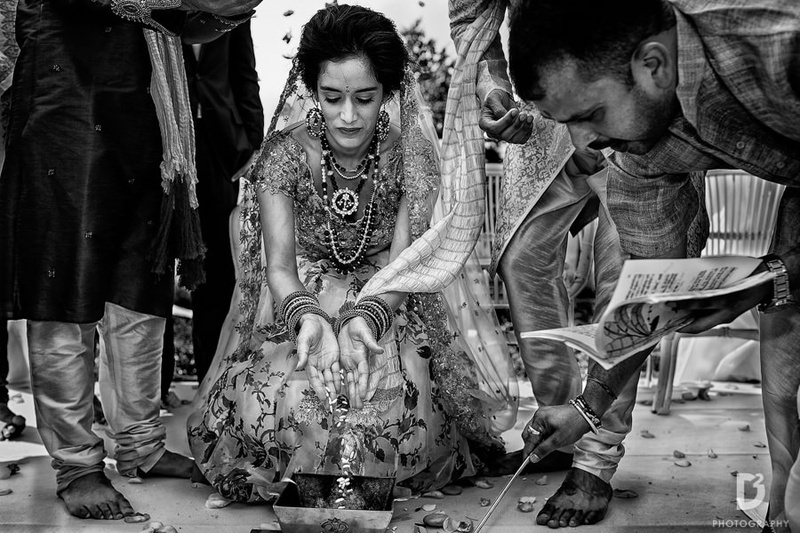 Viral and Puja, the love birds of our latest story, are Indians who live in London. 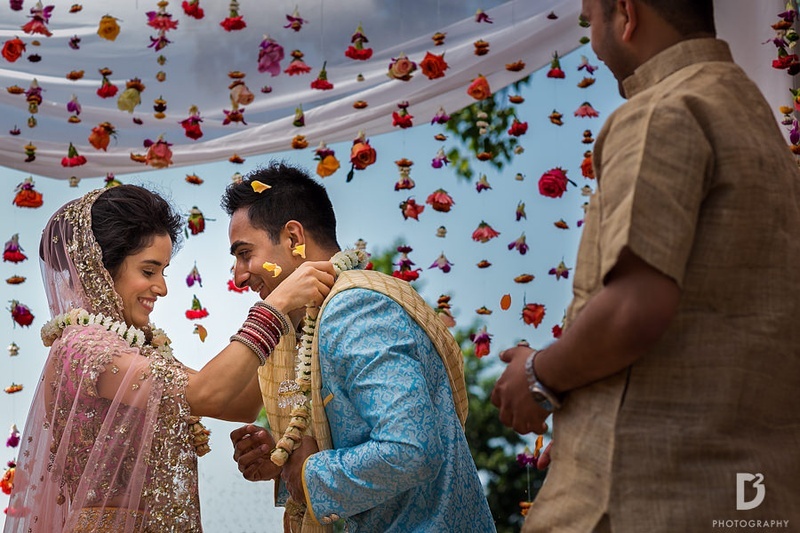 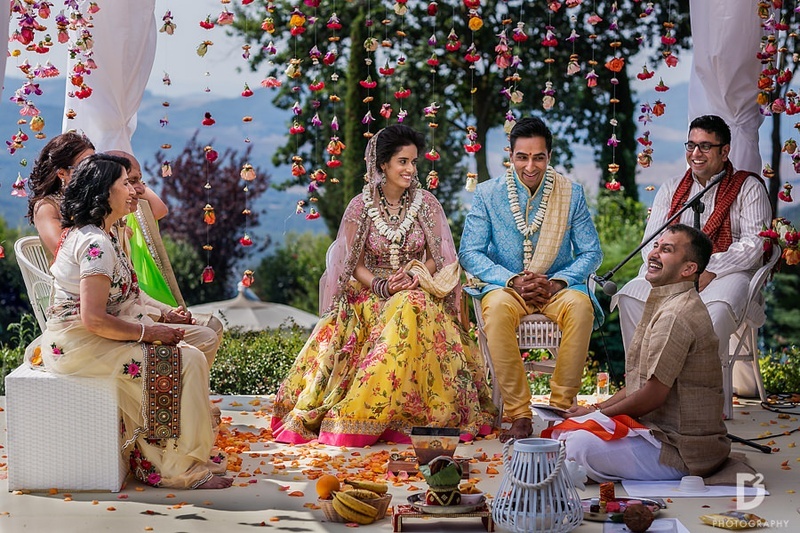 When the duo planned to tie the knot, they decided on an intimate wedding ceremony in Tuscany, where they would incorporate elements of India into the ceremony. 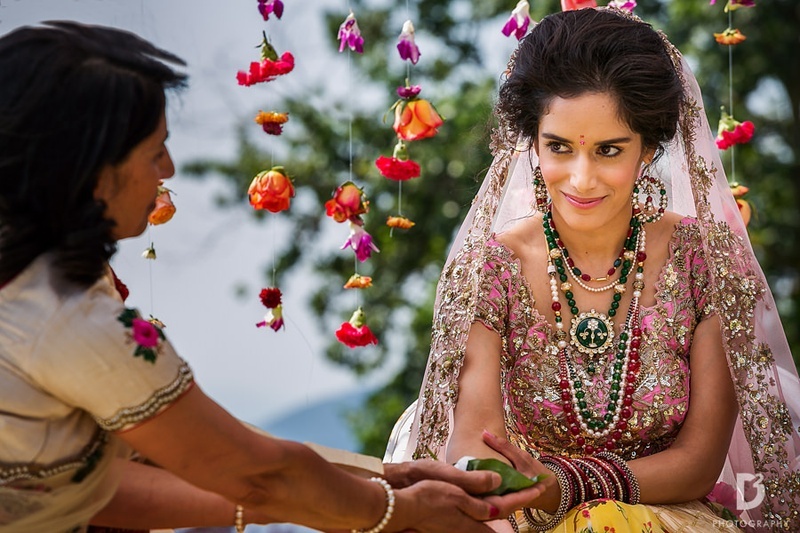 What followed was a simple yet elegant Hindu wedding ceremony in the lap of Nature. 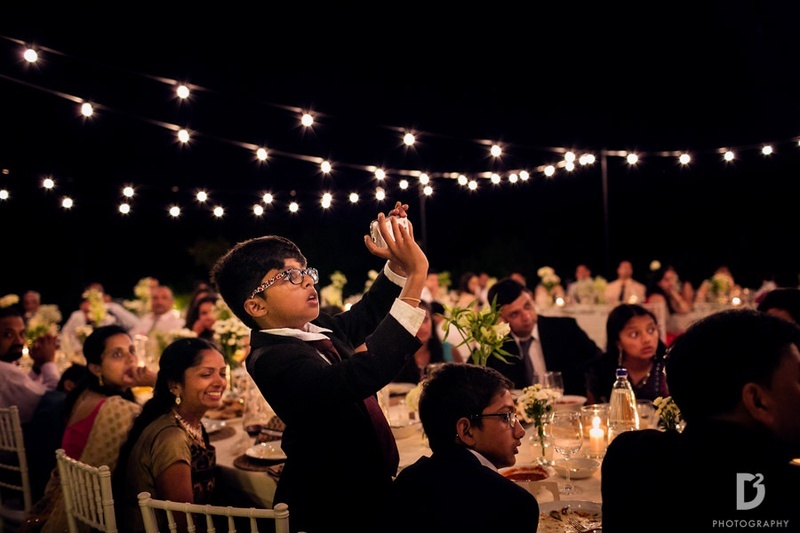 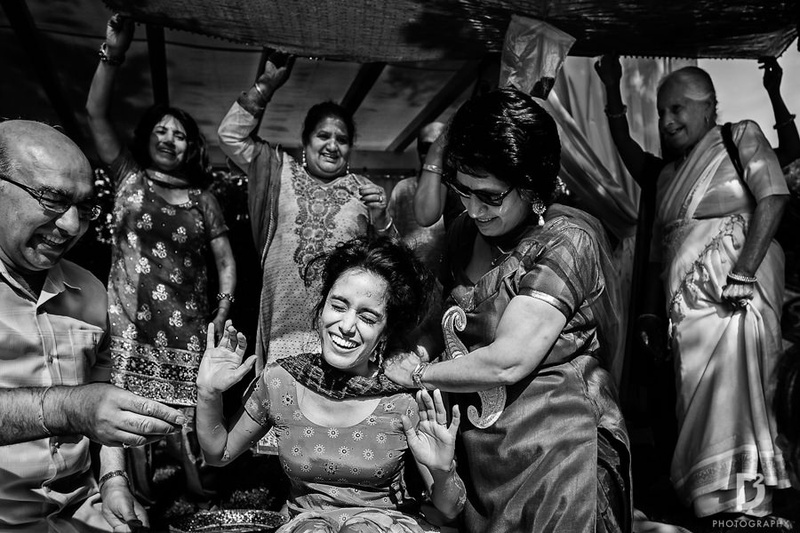 This beautiful outdoor wedding involved everyone in the family, especially the elders. 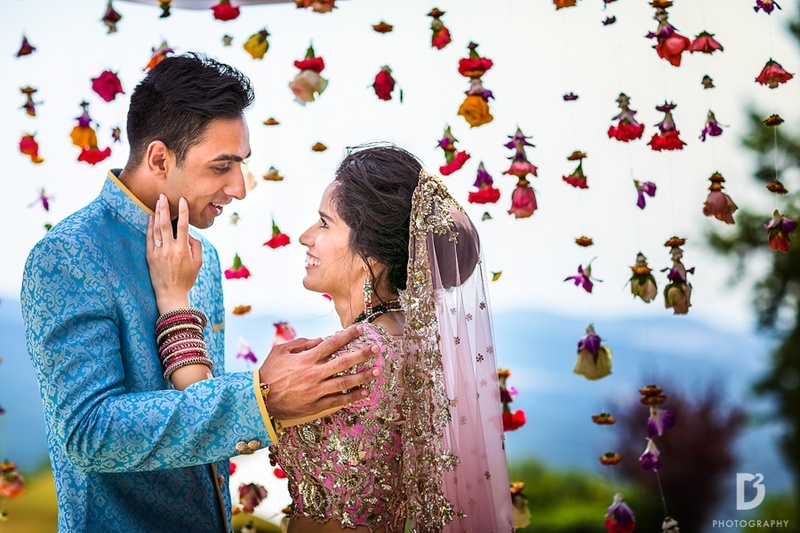 Colourful elements, happy smiles and even some tears came together beautifully for this vibrant wedding that is currently stealing our hearts! 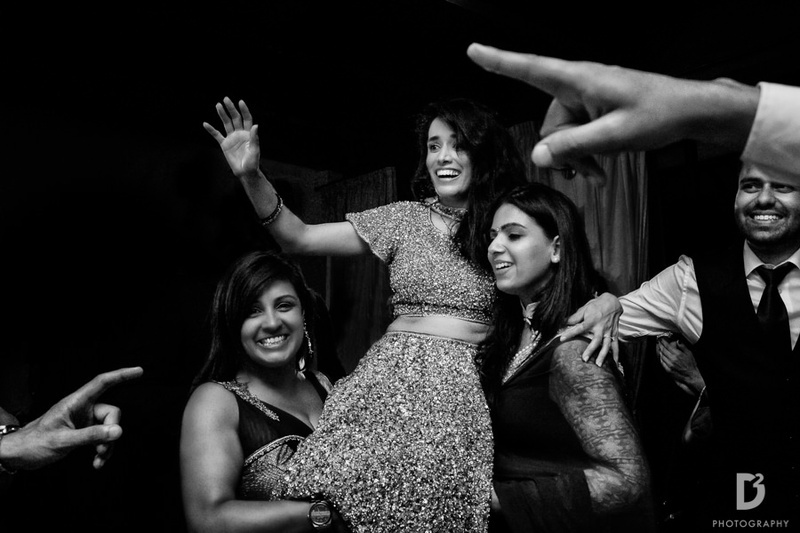 Black & White fun moment captured by D Photography. 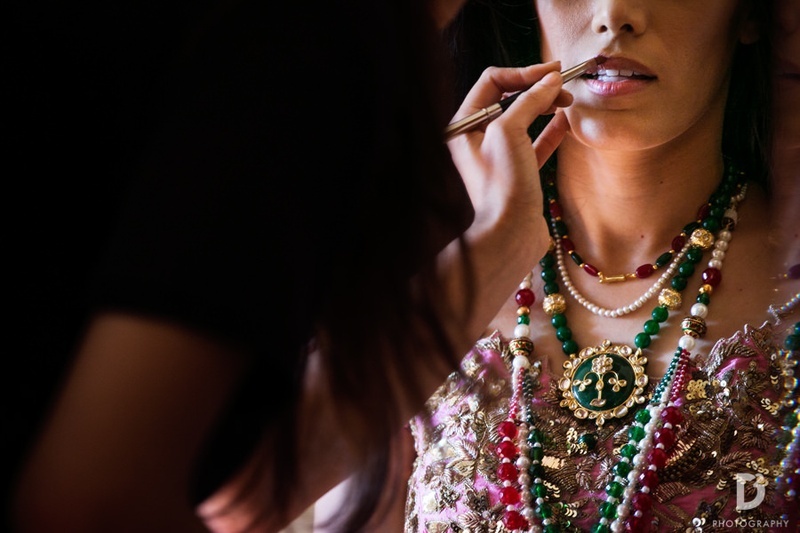 Beautiful make up shot by D photography. 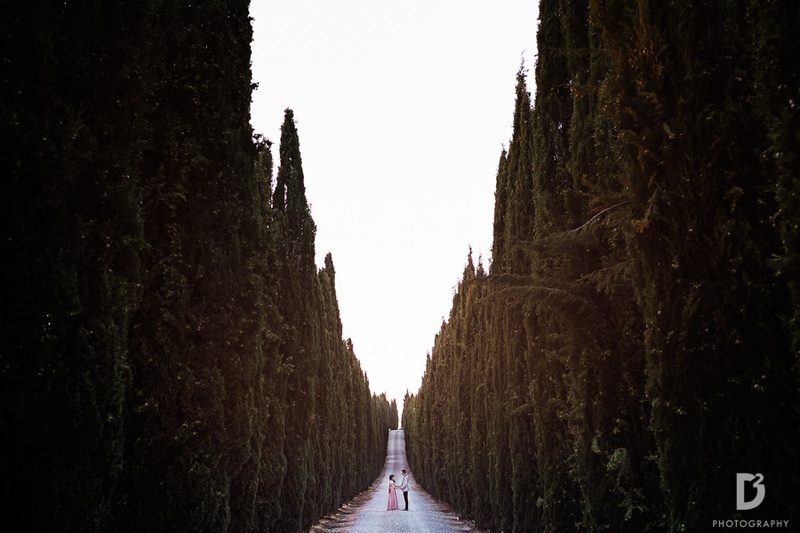 Serene wedding location in Tuscany. 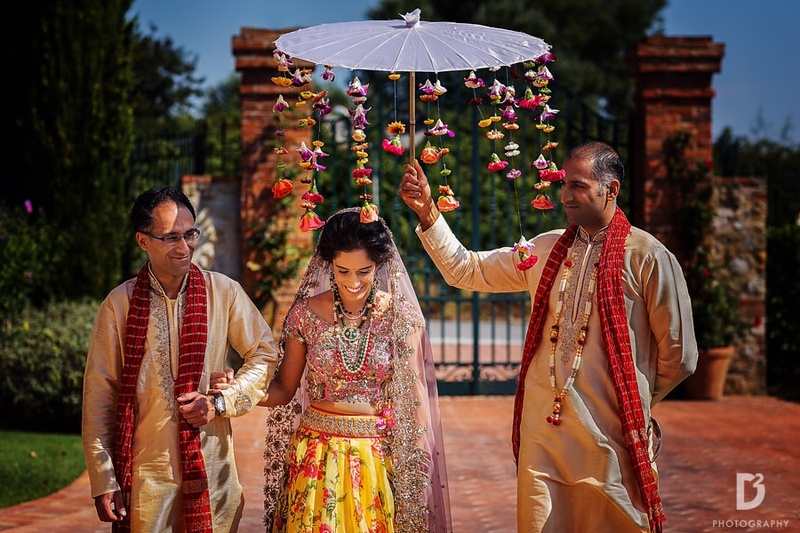 Umbrella with hanging flower strings for bridal entrance. 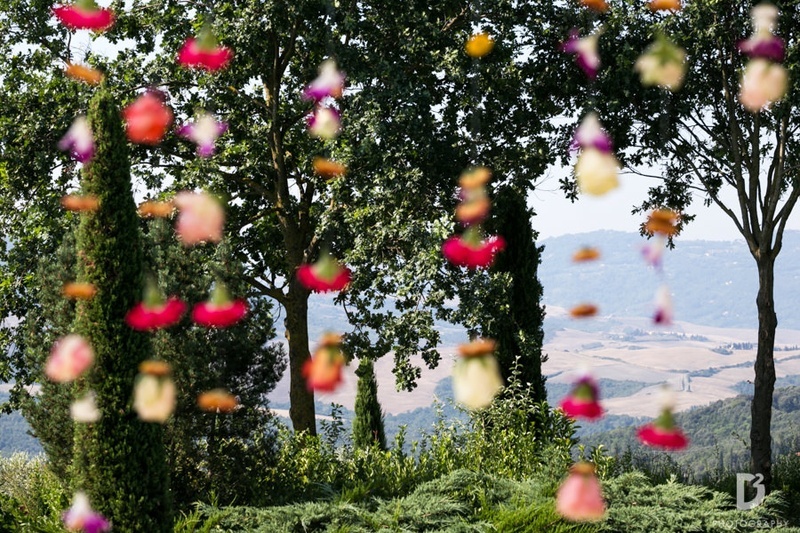 So perfect for a summer wedding. 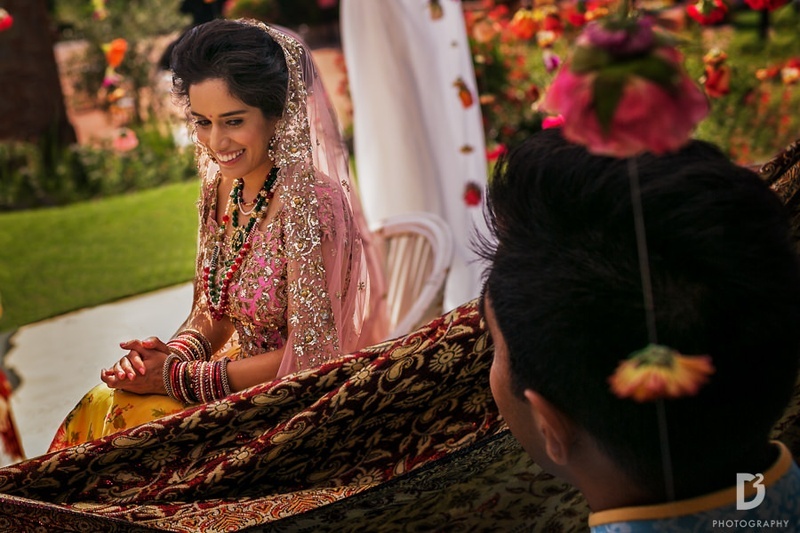 Dressed up in a classy pastel pink and yellow lehenga styled with pearl and stone jewellery. 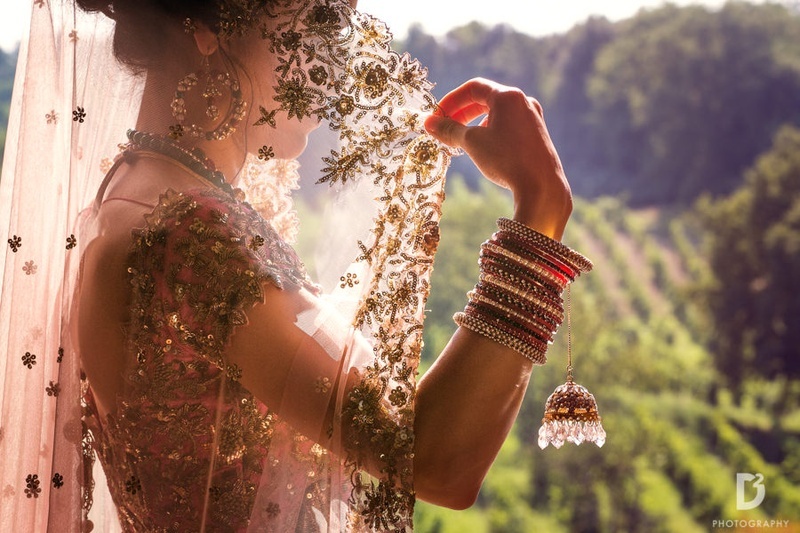 Perfect minimal look. 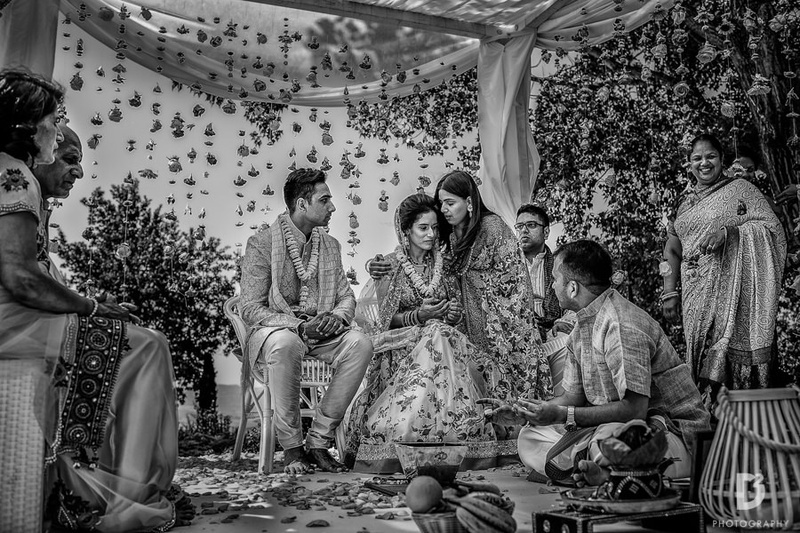 Beautiful black and white shot of the wedding ceremony. 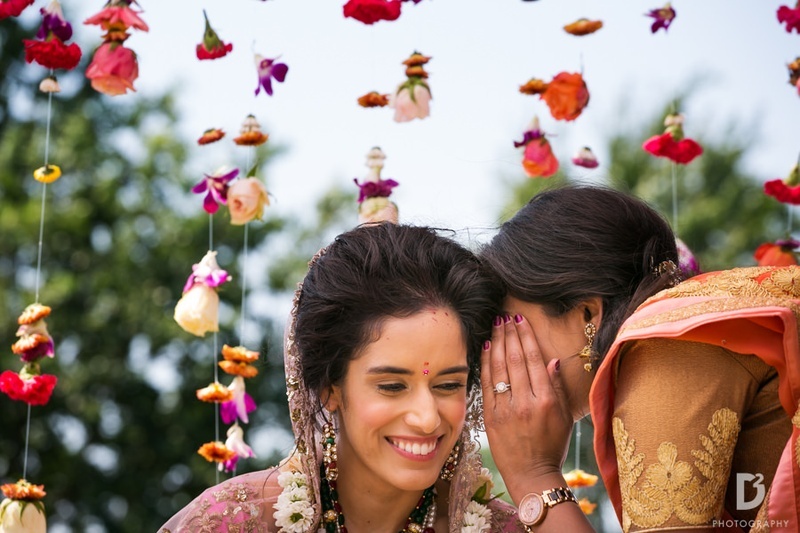 Filled with love Varmala ceremony with a floral hanging backdrop. 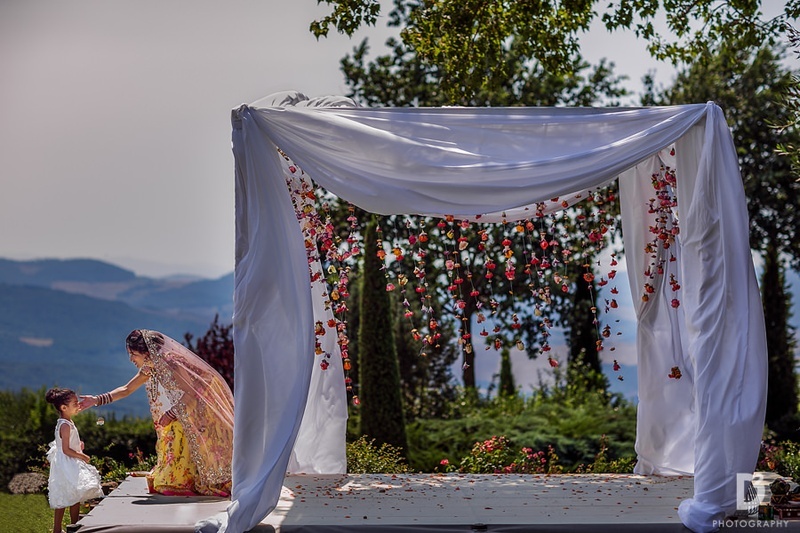 A wedding mandap so beautiful. 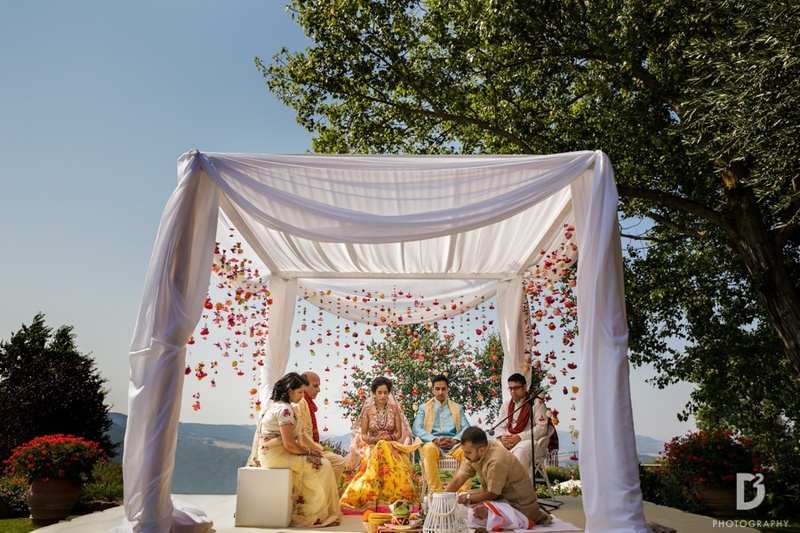 Minimal and Classy wedding mandap for a perfect summer wedding. 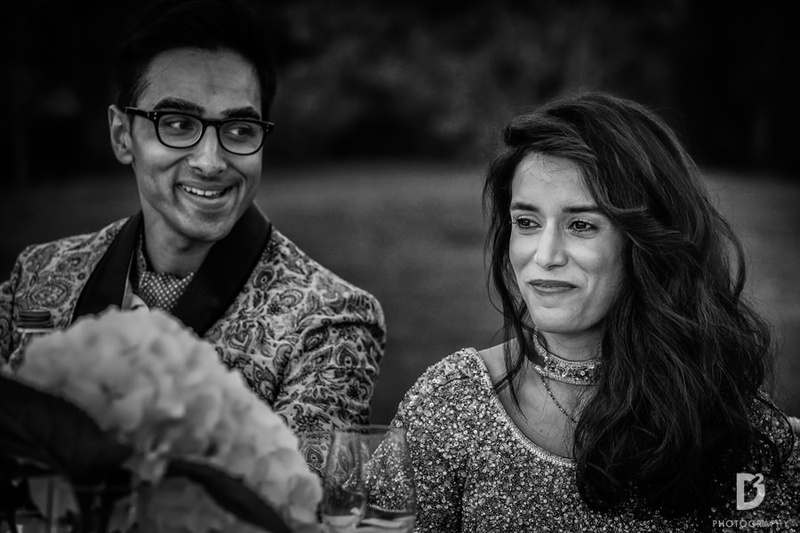 Black and white shot by D photography. 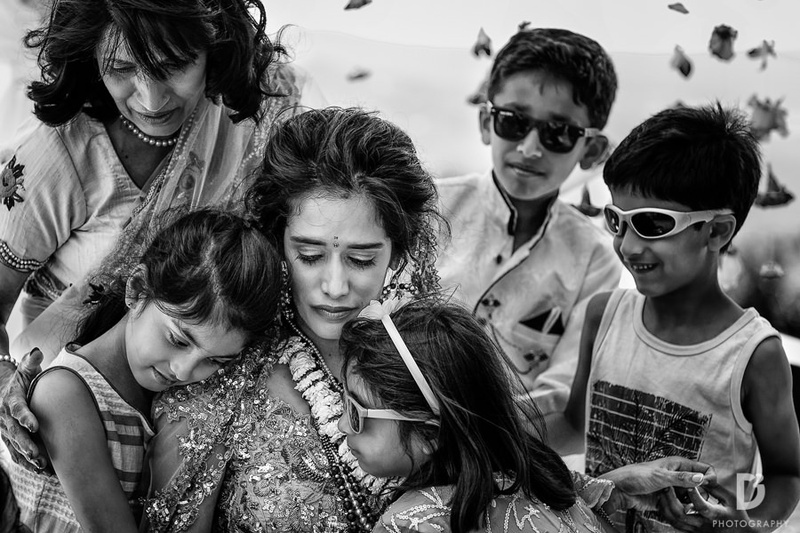 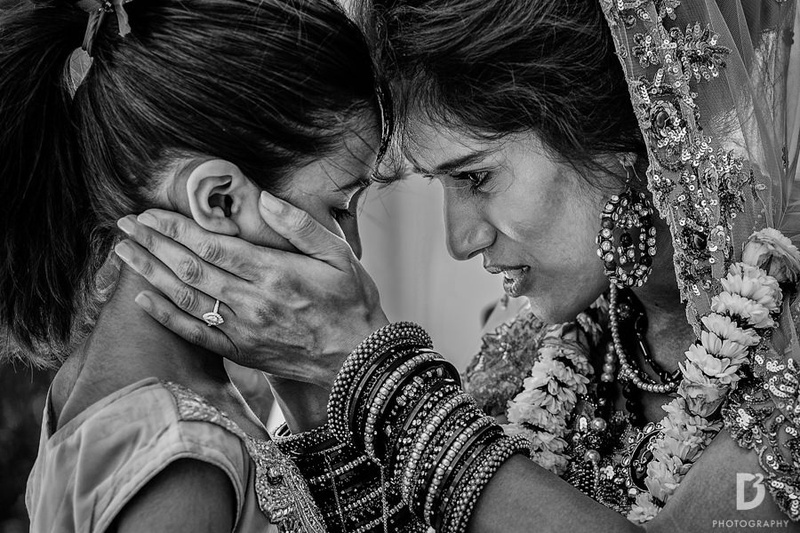 Emotional vidaai moment captured beautifully by D photography. 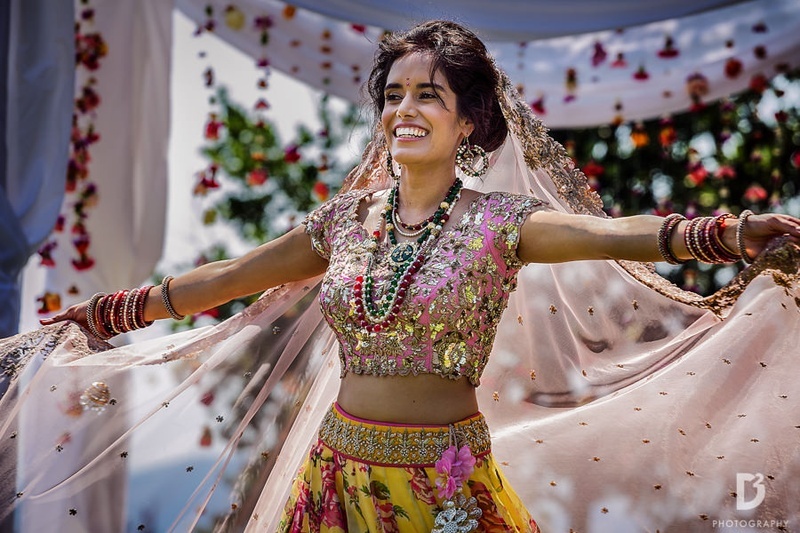 Floral print yellow lehenga paired with pastel pink embroidered choli and transparent dupatta. 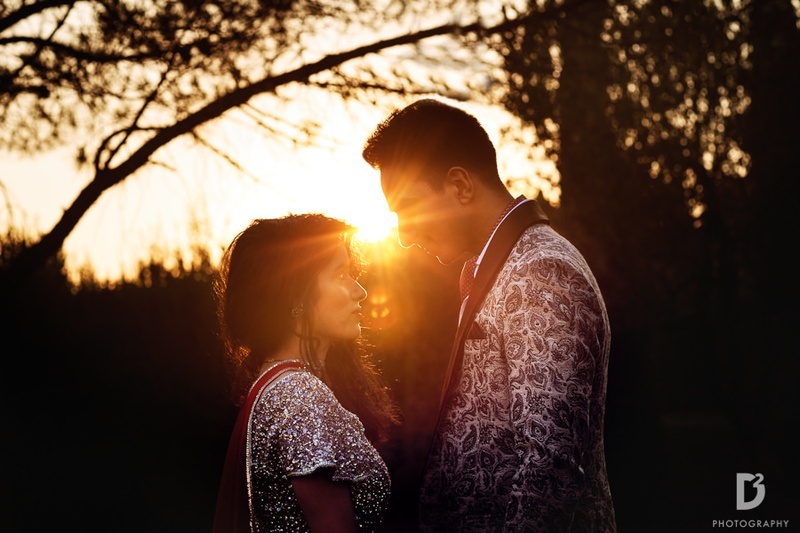 Couple shot by D Photography. 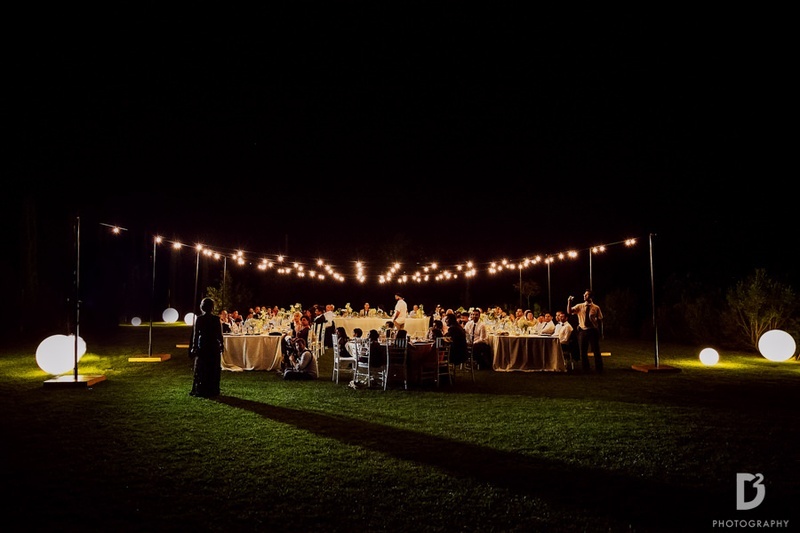 Minimal reception dinner arrangement with fairy lights and light balls. 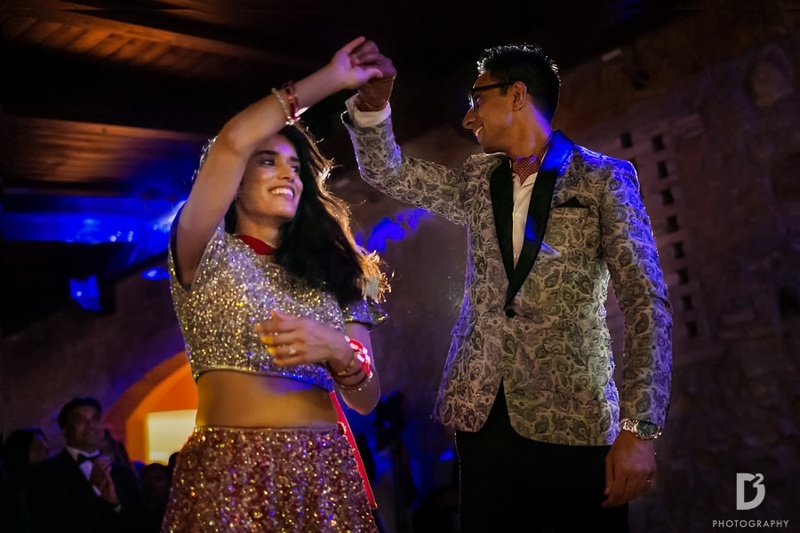 Pooja dressed up in a shimmery lehenga for the wedding reception.